Plibrico Company, LLC. reported on its swift, around-the-clock reaction to customer requests due to its agile customer service. In 2018 the company increased resources and hired additional staff to continually deliver exceptional service to its partners and customers across the country. The move comes at a time when Plibrico says system repairs, upgrades and retrofits are more important than ever. Over the last year, the Plibrico team has demonstrated time and again how its customer driven core value, combined with swift response and flexibility, is enabling PliPartners and customers alike to get their critical heating systems back on-line and operational quickly. 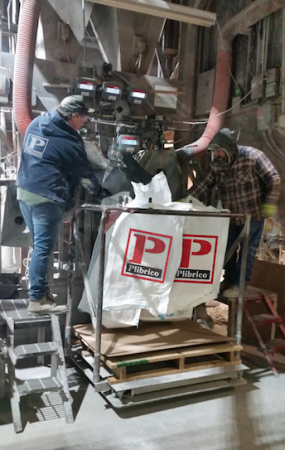 In another off-hour occasion, Plibrico’s Canadian PliPartner needed a truckload of refractory material for an emergency repair. Their customer’s operation was down, and it was costing their customer hundreds of thousands of dollars each day they were nonproductive. “The Plibrico team went into action and manufactured, coordinated and shipped the truckload of refractory in less than 48 hours,” said Smith.